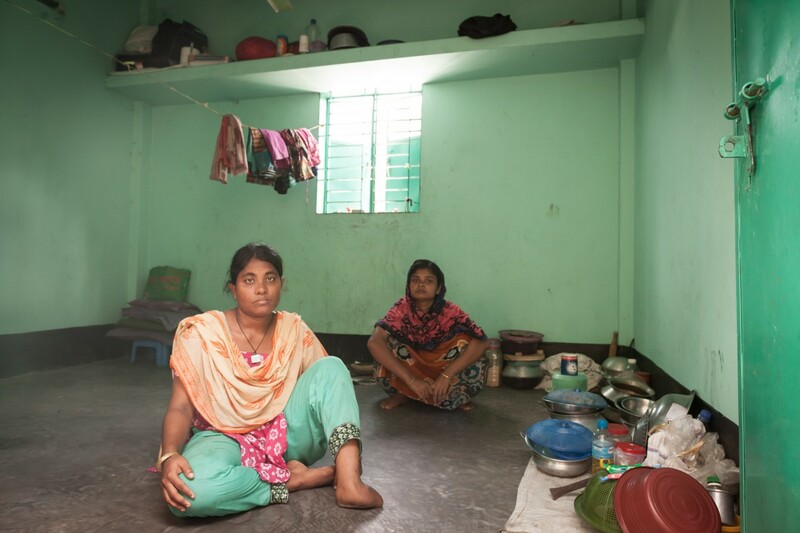 Rana Plaza was an eight-storey building housing five garment factories. The day before the collapse workers noticed a large crack in the concrete structure. Many initially refused to enter but were coerced by their managers, through physical and verbal abuse as well as the threat of having one month’s pay docked. 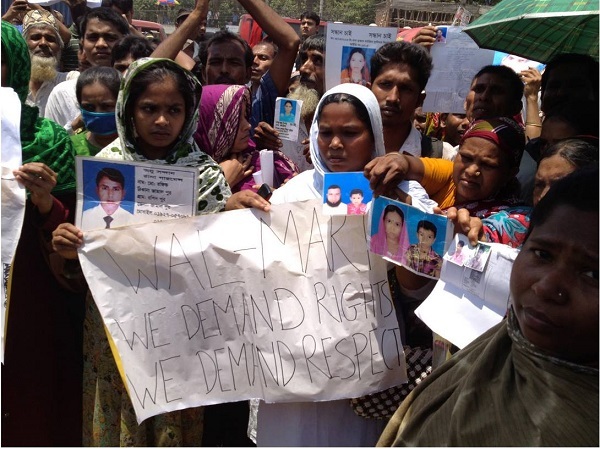 At the time of writing, some international brands who sourced from Rana Plaza still refuse to pay a penny in compensation to the survivors and victims’ families. However their labels were found in the rubble, amongst the debris that tells of thousands of lives ruined. 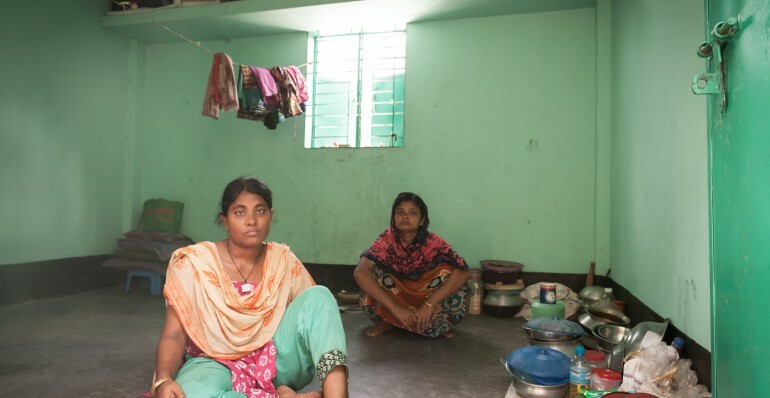 Though the scale of the Rana Plaza collapse is exceptional, sadly health and safety disasters are not uncommon in the garment industry. Factory fires, for example, often break out in buildings where the machinery is old, and garment workers die brutally in factories without any fire extinguishers, where doors are locked and metal bars are put on windows to ‘deter theft’. Regardless of global brands’ CSR and PR-speak, workers’ safety still sits below profits as a concern for factory owners and the brands that contract to them. The unrelenting pace of fast fashion means brands expect new designs on their shelves every few weeks. Brands hold an enormous amount of power and need to work with factory owners to ensure a living wage is paid to workers. Factory owners, in turn, must work with local trade unions to ensure workers’ voices are heard, and freedom of association and collective bargaining rights must be upheld so workers are able to be honest about their situation and push for change without fear of reprisal.